A Google account is required to leave us a review. This will open in a new window. Eden Mobility Hessle has been in the proud City of Hull for well over ten years and is established at the heart of the community on Hessle Road’s traditional shopping area. We are located at the corner of Ribble Street, opposite the Wilkinson D.I.Y. store, with good parking nearby. Space may be available in the Community Wardens car park opposite. Experienced local Mobility Assessors Tom & Mary are always pleased to greet customers new & old with professional courtesy and friendly advice, not to mention the customary cup of tea. Join us at the areas leading mobility store and see, touch and try our new 'Zodiac' Rise & Recline Chair range, our working stairlift, a superior Eden adjustable bed, an extensive range of new and re-conditioned scooters (always with access to hundreds more), and many many more helpful daily living aids to extensive too mention. We have 4 used mobility scooters that are available to view at our Hessle store. Are you looking for a mobility scooter in Hessle? Come down to our store on Ribble Street and see our small, medium, large and executive scooter range for yourself. We have scooters available to suit all. 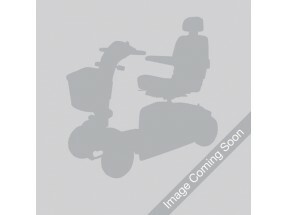 Eden Mobility have a variety of powerchairs in Hessle's store. Come down today and see them for yourself; we'll be able to provide you with all the help and information you require. We can also provide you with a home demonstration, just call us on 0800 652 8444 to arrange one today. If you want extra comfort at home or a chair that is easier to get in and out of then take a look at our specialist rise and reclining chair range in Hessle. All of our chairs have been carefully selected with the finest materials and features available with your comfort in mind. If you live in Hessle and you are interested in the installation of a stairlift in your home, speak to Eden Mobility. We are able to provide new and refurbished straight and curved stairlifts at very affordable prices. Pop into our store today to see a free, live demonstration. Eden Mobility have a huge range of wheelchairs available both online and in store. Come down to our store on Ribble Street and see them for yourself today. We have lightweight, heavyweight and folding wheelchairs available at very low prices.